This object is currently on display in room 206. There are 4 other images of this object. See our image rights statement. 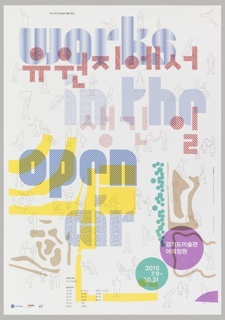 See more objects with the tag graphic design, overlapping, multicolored, typography, color gradation, layers, translucent. See more objects with the color steelblue darkslategrey khaki indianred sienna or see all the colors for this object. This is a Poster. It is dated 1967 and we acquired it in 2009. 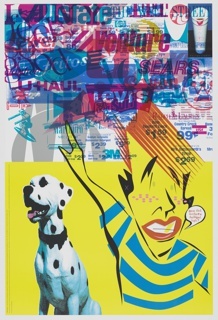 Its medium is offset lithograph on white wove paper. It is a part of the Drawings, Prints, and Graphic Design department. Massimo and Lella Vignelli are among the most influential designers of the 20th century. Their elegant modernist aesthetic has been expressed in furniture, tabletop wares, exhibitions, interiors and, above all, graphic design. In The Vignelli Canon (2009), Massimo outlines his design parameters as: timelessness, discipline, clarity, intellectual elegance, economy of means, and structure. Vignelli believes that posters retain their value as a vital aspect of corporate identity in spite of the proliferation of other media. 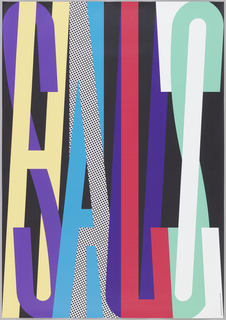 His monumental poster for Knoll International (1967), which uses transparent and overlapping letters, exemplifies his crisp, bold design approach and underscores Knoll’s identity through typography. 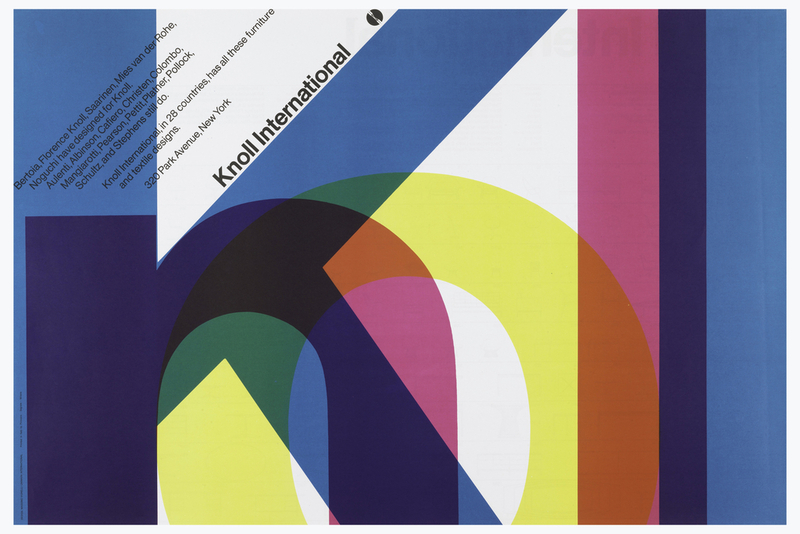 The poster’s reverse displays drawings of Knoll’s furniture line, which gained visibility when the poster was folded and sent as a mailing piece. 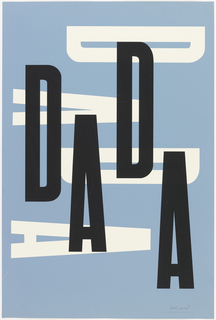 This poster is part of a larger group of posters offered as a gift by the Vignellis that would enhance the museum’s representation of 20th-century graphic design and, specifically, work by Vignelli Associates. 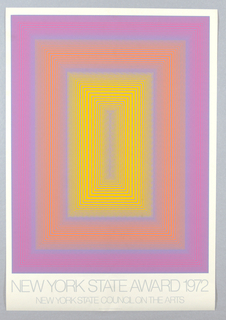 This object was featured in our Object of the Day series in a post titled A Colorful Identity. This object was catalogued by Julie Pastor. 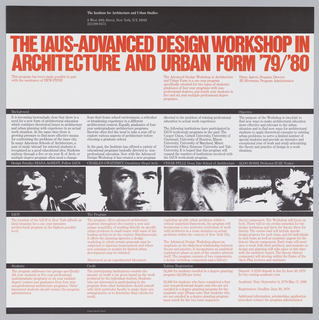 It is credited Gift of Lella and Massimo Vignelli. Gift of Sulki & Min.